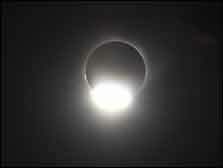 Anyone who wants to see the July 2, 2019 Eclipse in Chile or Tahiti! Tahiti - Just 2 or 3 rooms available! Chile Eclipse - Just 1 room available! "Margaret, this has been a beyond-fabulous trip. All of us, even including the littlest ones, had an amazing time. I will write with more detail after returning but for now I will just say that for all of us the trip far exceeded the high anticipations we started out with. Everything was terrific." special Betchart botanical web site. Please let us know if you would like to schedule a trip for your non-profit organization. since Dec 16th, 2017! At 8:38 in the morning no less! Join us... 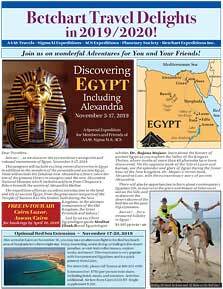 In the coming year on excellent expedition voyages and journeys of discovery. 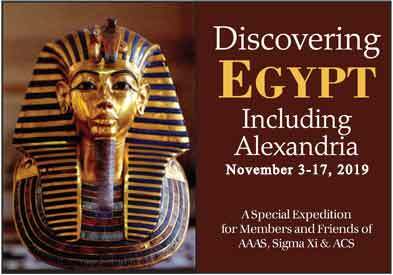 You will travel with members of AAAS, Sigma Xi, ACS, the Planetary Society, and friends of Betchart Expeditions Inc. to outstanding locations worldwide. Travel with groups of like-minded travelers and stimulating scientific experts who share a love of learning, discovery, and adventure. We invite members and non-members to participate! Families and Friends... Many of our expeditions provide wonderful opportunities for families and friends to enjoy adventures together. Each expedition offers a variety of experiences with much to appeal to a wide range of interests. Along with our experts and local guides your family and friends will have an exciting, educational, once-in-a-lifetime adventure! 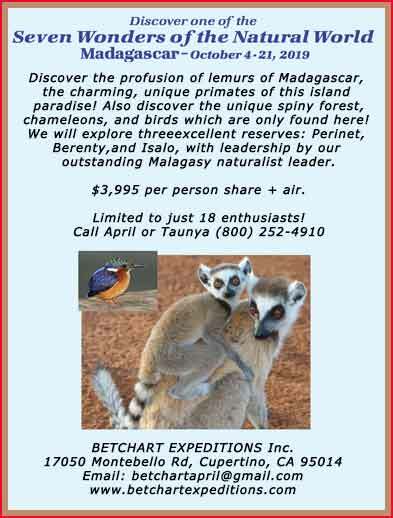 Betchart Expedition/TIGHAR IN SEARCH OF AMELIA EARHART Trip to Nikumaroro 2015. A video summary of the experiences of those passengers on the 2015 trip to Nikumaroro by Betchart Expeditions and TIGHAR. TIGHAR is working to confirm the hypothesis that Amelia Earhart and Fred Noonan landed on Nikumaroro in 1937 and perished on the island. 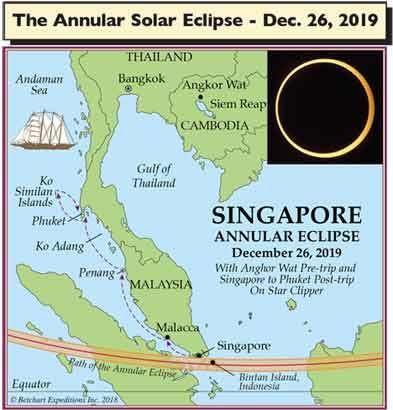 Discover Singapore & the Annular Solar Eclipse! This trip sells rapidly! Please book now. 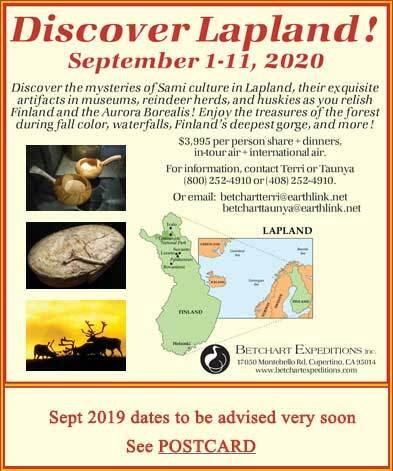 Betchart Trael Delights in 2019/2020! 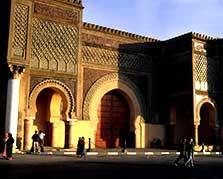 We have taken families and friends on private trips to many destinations. Here are some of them! Take your pick, and we can organize a memorable celebration for your family to share, too! 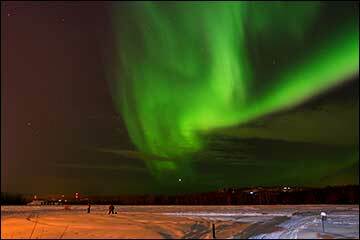 Our trips for eclipse and astronomy enthusiasts are designed to travel to prime viewing areas that provide the best opportunities to meet scientists and to view the aurora borealis, meteor showers, or eclipses with clear skies. 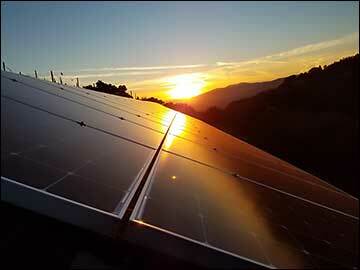 We invite guest experts to provide you with detailed information, handouts, briefings, and solar glasses (when recommended). You will also see and enjoy the surrounding cultures, archaeological or historical wonders, natural history, and scenic landscapes of the area with like-minded individuals who enjoy seeing the aurora, meteor showers, or eclipses as much as you do! Exciting news! Betchart Past Travelers now have a place where they can share their expedition experiences and pictures. We organize University Study Abroad trips for teachers or students in China. If your university might be interested, please let us know. We also organize private family trips to Costa Rica, to the Galapagos Islands (on 20- or 40-passenger yachts, or on cruise ships), or on Safari in Africa, or in India.